SEO for startups can be one of the most cost-effective ways to grow your business. Organic search is a channel where do you don’t pay for each click, so getting this right can save your startup valuable investment if you got funding. Whatever type of startup you have, you have to find ways to be smart with organic search and drive results for your business. This guide should act as a primary blueprint for you to follow to achieve better results in organic search marketing. In this post, I will break down some SEO tips for startups and what you can do to drive more Google traffic to your site today! If you would like a professional to help with your business, I offer SEO Coaching to draw up a strategy with your site along with Boston SEO Expert on an ongoing monthly basis. If your startup got funding and are building a website, I want to stress the importance of technical SEO. The do not’s of SEO include having content live in i-frames, choosing a CMS where you can’t update the robots.txt file, and having an unclear architecture for your main pages. Other do not’s of SEO include having one-page act as the entire site, building the site in flash, and having mobile pop-ups fire when someone visits the site. These are primary technical factors that will hinder your organic performance, so make sure you stay aware of these issues. A significant no for SEO today is buying links. When you start off in SEO, you might have the temptation to buy hundreds of links because it’s been said to be good for SEO. The type of packages that I refer to are places that say pay $20 and get 100 links each month. One final suggestion that I can give is to keep everything on one domain! Do not have a separate domain for the blog because you are separating your SEO power by doing that. If you want to keep the blog on the same domain, I encourage people to keep it as a subfolder and not a subdomain. Being a startup means that every dollar you put into your business matters. Most reputable SEO companies have tools that they pay for which you can have them leverage for your website, so ask away if you contract out your SEO. If you keep your organic strategy in-house, I would recommend using these free tools or free versions of paid tools to help your plan flourish. Both Google and Bing have free tools for SEO’s to use. Google Search Console and Bing Webmaster Tools allow you to request a crawl and index of whatever page you would like, so make sure you are using this feature. Both tools also give weekly SEO report cards of your site, so check these out if you are looking for quick fixes. The tools will also include the terms that your site ranks for with a rough estimate of traffic you get, so keep a focus on that. Tracking keyword rankings for your startup is critical to see what elements of your strategy is working. There are plenty of paid tools out there that do the job correctly, but you can manually check ranks using this plugin. I like using this plugin when I need to quickly gauge where a client ranks if I am meeting them in person, so check it out if you use Mozilla Firefox. SEMRush is my favorite SEO tool which I use for my website and client websites. The data for organic search is rich and powerful, but the free version is not too shabby for people on a budget. 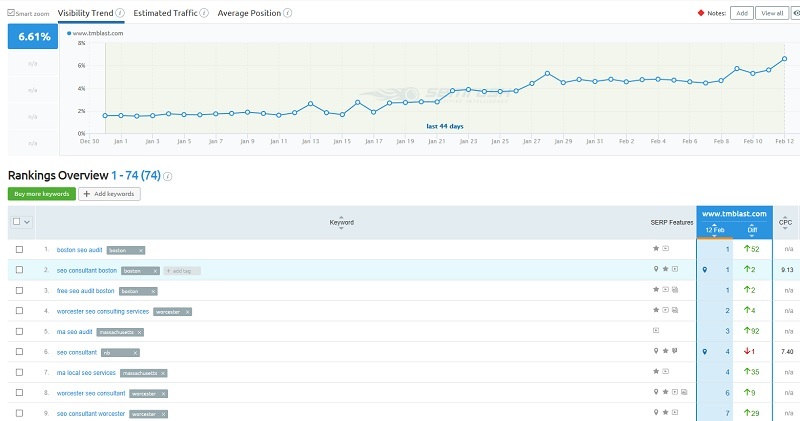 You can use the free version of this tool for quick competitor analysis, review of your website, keyword research, and more. Using the free version of the tool will limit the number of results that you can see, so just remember that if you see elements hidden. Researching the correct organic terms to go after for your business is critical to seeing success. 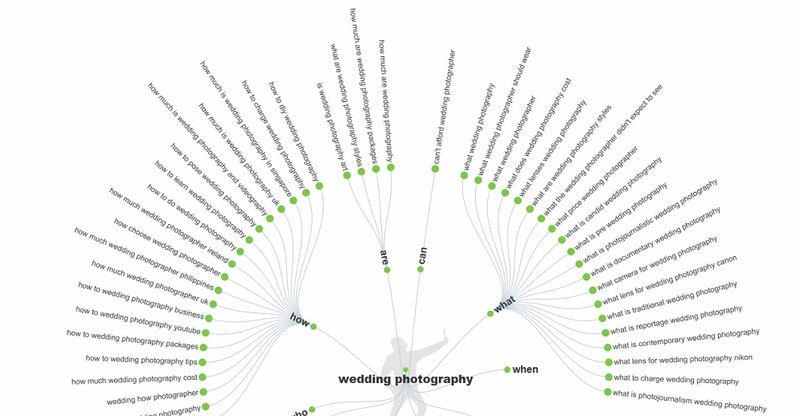 There are many traditional ways to look up keywords, but I like to go about this in a less conventional way. Here are some of my favorite ways to perform keyword research. If you are looking to expand your blog content on your website, you should check out Answer the Public. Answer the Public is a free tool that aggregates the questions that people actively search for on the web, so you answering these questions can bring tremendous search traffic to your domain. Who, what, where, when, why, and how questions fall somewhere different in a consumer purchase intent, so you can help nurture traffic to become customers of yours. Reddit is a gold mine when it comes to SEO research due to all of the groups. Groups are niches that keep branching off from the domain of Reddit, so you can find thousands of topics people are posting. For SEO, you can use Reddit to see what questions people are posing along with answers people provide. Google Trends is a tool from Google that aggregates search interest on a scale from 0 to 100. You can use this tool to base your strategy on catching a wave of a phrase that is rising while another term that you think makes sense is starting to lose interest. 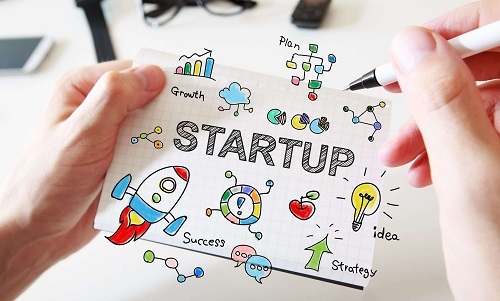 Perhaps your startup offers consulting and marketing services, and you want to figure out which word to lead off in your title tag. Google and Bing give more weight to the start of the title tag and Google Trends shows me that marketing is on the rise, so I would lead off with that. If you want your business to appear on Google, you should study Google’s results. By using the Keywords are Everywhere plugin with Chrome, I can get an idea of the monthly search volume that each term yields in Google. One typical scenario I hear from clients is that they will dismiss a search phrase due to low search volume. The problem with this strategy is that a related search on Google means that people are actively searching for this topic, so not covering is not covering someone’s need. 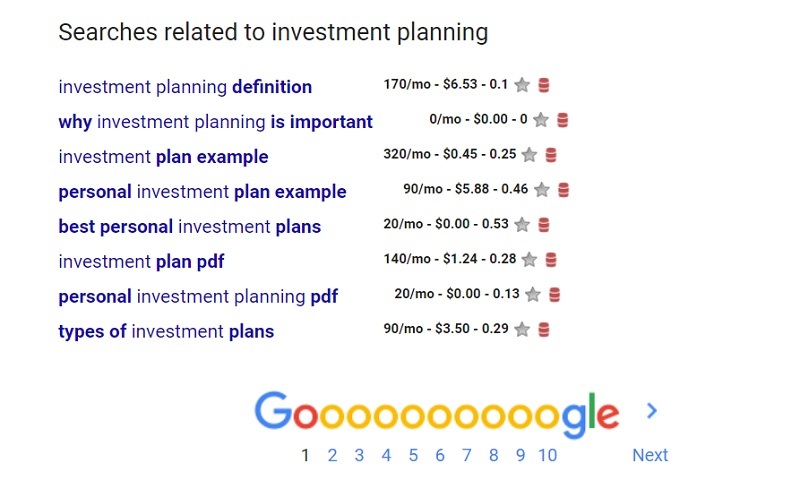 Also, Google will artificially lower the number of searches a term gets to have advertisers spend more money on broad sense terms that yield a lot of searches. Bing’s audience in the United States is a slightly older, more educated, and more affluent of a searcher compared to Google. Bing powers the search for Yahoo and AOL, so optimizing for one engine powers three places. 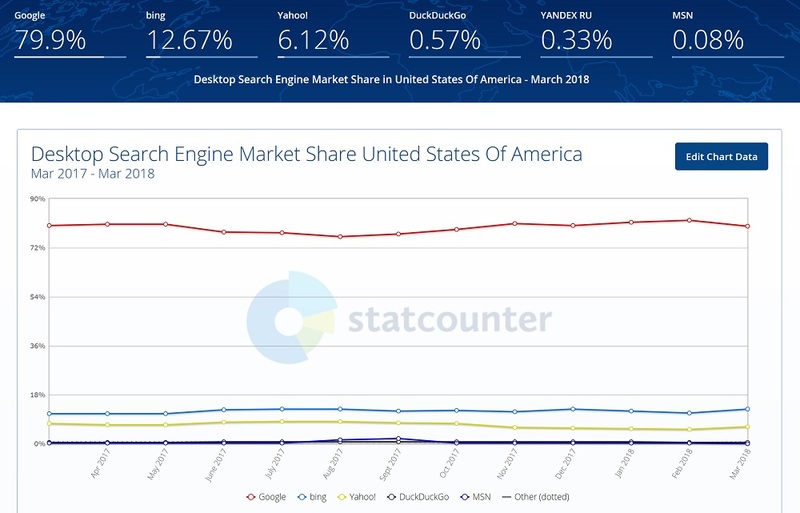 Right now in the United States for desktop search, Bing powers about 20% of the market when you combine Bing, Yahoo, and AOL data. Microsoft Bing is heavily built into Windows 10 and other Microsoft products, so Bing search traffic should continue to grow. Most of your SEO strategies for Google will carry into Bing, but there is more you can do to drive more Bing traffic to your site. I wrote a blog post about 9 easy steps to drive more Bing traffic to your site that should help with your strategy. Name, address, and phone number are critical signals to help Google and Bing understand your local presence. Moz Local is a free tool that shows all of your business listings on the web. Moz will even notify you of the listings that are missing, so it’s a good one-stop shop to get all of your local listings listed correctly. Online listings include places like Google+, Yelp, Foursquare, and more. One bonus of having your information appear on third-party sites is that you can drive relevant referral traffic back to your business. Google my Business Listings and Bing Places for Business are critical to have if you want your website to show up in their results. Map listings are often seen in Google for local intent, so getting your business listed is how you get found there. Registering and categorizing your listing in both places can give another ranking clue for both engines to show your listing for a series of financial searches. Another bonus of Google my Business is that you can promote offerings that your business is having directly into a Google Search, so this is a great way to drive positive brand exposure. This guide was more of a compass of best practices to follow for a startup website trying to win in SEO. Many elements that I did not go over include schema markup, speed optimization, clear architecture, backlinks, and more. There is more to search engine optimization than those elements, but this should be a right starting place.